How does Kane's bogey month compare to rivals? 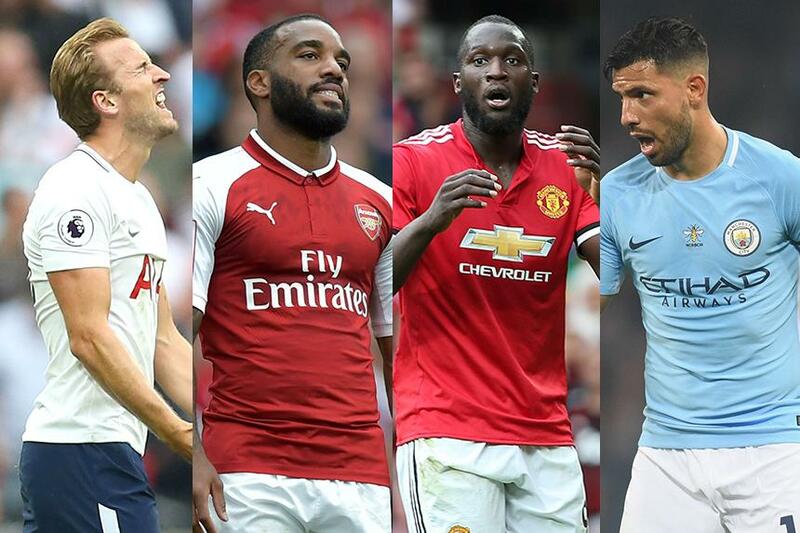 Harry Kane has never scored a Premier League goal in August - but he is not the only top forward to have a bogey month, Skysports.com Adam Smith writes. Tottenham Hotspur star Kane, the Premier League's Golden Boot winner in each of the last two seasons, is still yet to find the net in the opening month of a campaign. He has hit the woodwork in both of his first two Premier League appearances of 2017/18 but his record in August is now: 12 matches, 34 shots, no goals. Kane's north London rival, Arsenal signing Alexandre Lacazette, also has a lean month at the start of the season - the France international has scored just two league goals in September throughout his career. Lacazette scored a goal every 89 minutes for Lyon in Ligue 1 last season and took just four minutes to score on his Premier League debut. But his record from 16 league appearances in September works out as just 0.13 goals per match. The striker failed to score in September for three consecutive years from 2011, before netting one in 2014 and converting a penalty 12 months later - but drew another blank last year. 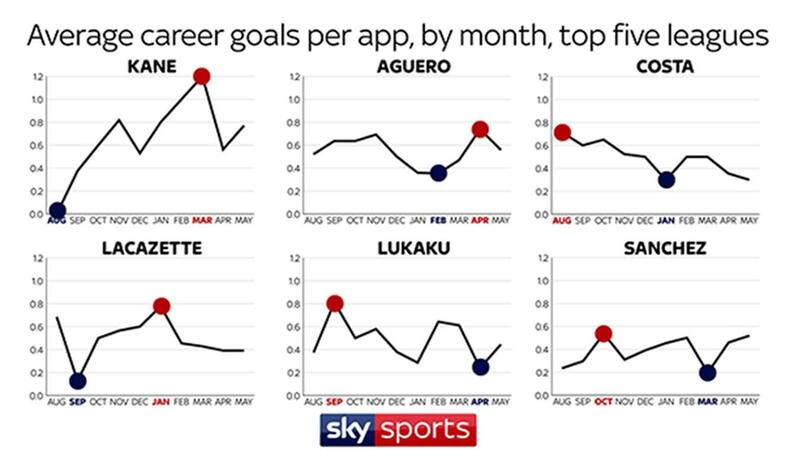 Meanwhile, Sergio Aguero hits a season low in January and February (0.35 goals per match), Diego Costa struggles in January and May (0.35), Romelu Lukaku hits a goal drought in April (0.24) and Alexis Sanchez scores fewest in March (0.19). While Kane has had problems in August, by March he is typically in full flow. He has scored 12 Premier League goals in 10 appearances in March (1.2 goals per match). Lacazette also takes a little while to get up and running - he has previously hit his stride in January (0.78 goals per match). Manchester United's summer signing Romelu Lukaku - who has three goals in two Premier League outings for his new club - has typically seen his goal-scoring rate decline through the campaign after making a fast start. September is his most prolific month, scoring 13 goals from 12 appearances (0.81 per match) in that month - but only averages 0.5 goals per appearance in the following month of October.